Corrugated Iron COLORBOND® or Custom Orb is renowned throughout the world as the product of choice for roofing and cladding applications. Its corrugated iron profile creates an iconic look for both traditional and contemporary projects. Versatility—use it on roofs or walls – you’re only limited by your imagination. Strength—.42 or .48 BMT hi-tensile steel offers an enormous strength to weight ratio making the sheets easier to handle, less costly to install, and, with a life expectancy of at least 50 years, one of the longest lasting products on the market. Wide profile—sheet width of 762mm means fewer sheets required and faster installation time adding up to lower cost. Weatherproof qualities—1.5 rib overlap ensures a snug weatherproof barrier and protects your home. Colorbond is also rated for high winds and is pest resistant. Visual appeal—a wide range of colours means you can choose to make a visual statement with your cladding or blend into the environment—your choice. LYSAGHT CUSTOM ORB® is the very popular corrugated iron roofing profile from LYSAGHT, and is just as practical and fashionable with new design homes or the traditional design Australian homes. Custom ORB can be used roofing applications as well as wall cladding. Custom ORB is available in the standard range of Colorbond Steel Colours and is also available in unpainted Zincalume steel. 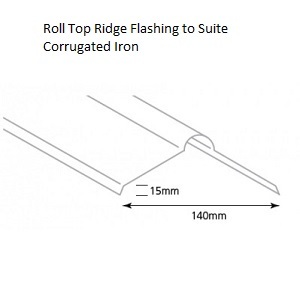 Custom ORB sheet lengths are supplied custom cut. 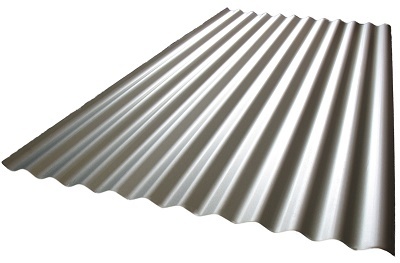 No 1 Roofing and Building supplies have a huge range of corrugated iron accessories for contractors and home builders. 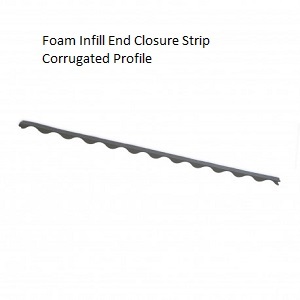 View our selection of Roll top ridges, roofing screws, foam infill closure strips and barge capping and flashing's..
We supply corrugated iron products to all our Sydney customers at warehouse prices - Give us a Call on 9970 8359 for an instant over the phone quotation by one of our roofing consultants. No1 Roofing supplies Lysaght, Stramit, Fielders and Permalite roofing which all use the BlueScope COLORBOND® pre-painted steel for their Roofing products. Please be advised that while every attempt is made to present these colours as accurately as possible there will be slight variations which will occur due to the different types of quality with computer, table, smart phone screens and monitors. We recommend that you obtain a true colour sample from our store or order your samples direct from the Colorbond website to be sure that you have chosen the correct colour prior to making your purchase. 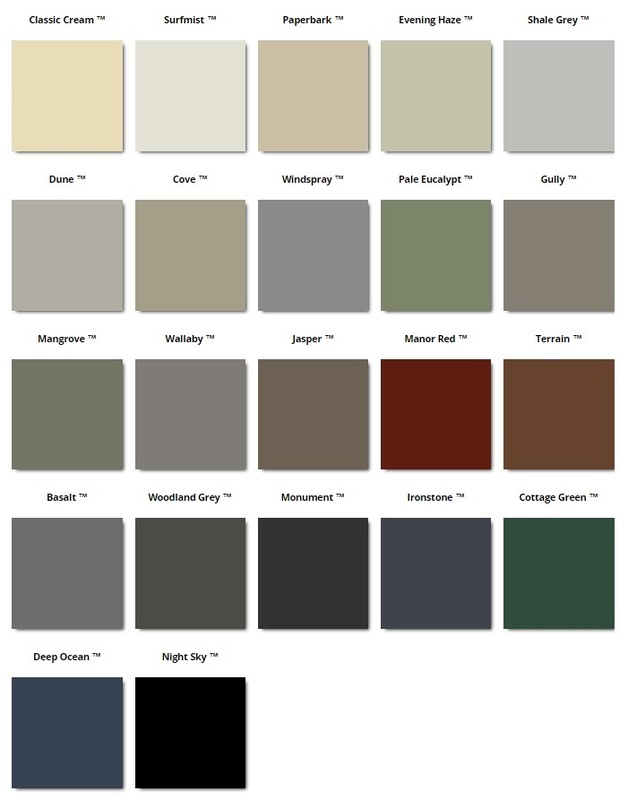 The following colour samples are a collection of all the COLORBOND® steel colours (22 colours), package which includes the latest COLORBOND® steel colours; Cove™, Mangrove™, Gully™, Wallaby™, Terrain™, and Basalt™. Corrugated iron roofing has been around for many decades and for good reason. It has proven its value in the face of Australia’s wild weather, ferocious fires, and pesky pests. COLORBOND® remains one of the most popular choices for builders, contractors and DIYers so when you want a roofing or cladding solution that will look stunning, last the distance and go easy on your pocket turn to COLORBOND®. Generally, you get what you pay for and going cheap can cost you dearly in the long run but COLORBOND® is a top quality product with amazing features that come with a reasonable price tag. And with a life expectancy of at least 50 years, superior weather proof, fire resistance and pest resistance qualities you are getting real value for money. 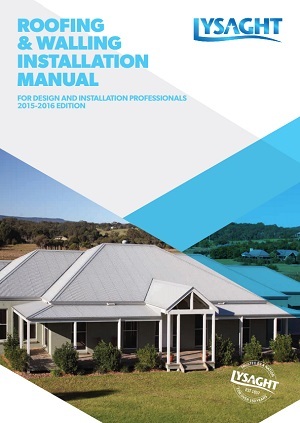 Choose a reputable COLORBOND® expert supplier- No1 Roofing & Building Supplies is the largest wholesale suppliers of metal roofing products in Sydney. We provide competitive pricing and our free expert advice is worth its weight in gold. We can also cut sheets to your specifications. Take accurate measurements for the number of sheets required—this limits expensive wastage or being caught short and requiring extra deliveries (involving additional charges and inconvenience). Bulk orders give commercial customers the opportunity to make even greater savings thanks to special large quantity discounts. No1 Roofing & Building Supplies also offer value added services such as sheet metal fabrication and our renowned friendly advice and service. We’ve been dealing with roofs for many years and we can save you both time and money. Class 4 screws are the recommended choice for fixing COLORBOND® sheets. For walling applications screws are fixed through the pan, the lowest point of the corrugation allowing for a shorter length screw. 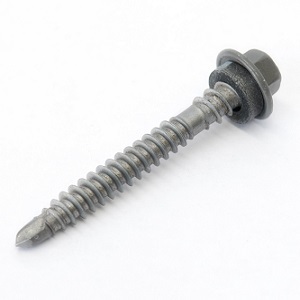 For fixing to timber 12 gauge 25mm timber screws are suitable and for steel you will need 10 gauge 16mm screws. Fascia boards form an important part of your COLORBOND® roofing system helping to seal the roof against weather and pest damage. Fascia boards also provide a smart finished appearance but it’s essential that you install them correctly. Measure accurately to avoid expensive wastage. Don’t forget you’ll also need to allow some extra length for the mitred ends. 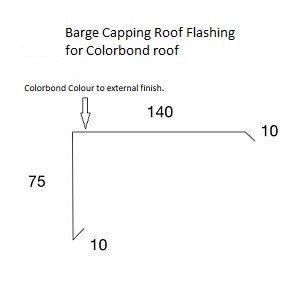 Your COLORBOND® roof and fascia boards form an important part of your home or commercial premises so it’s vital that you get the best advice.